The documentary explores the story of a teenager from Chota Valley trying to become a professional soccer player. 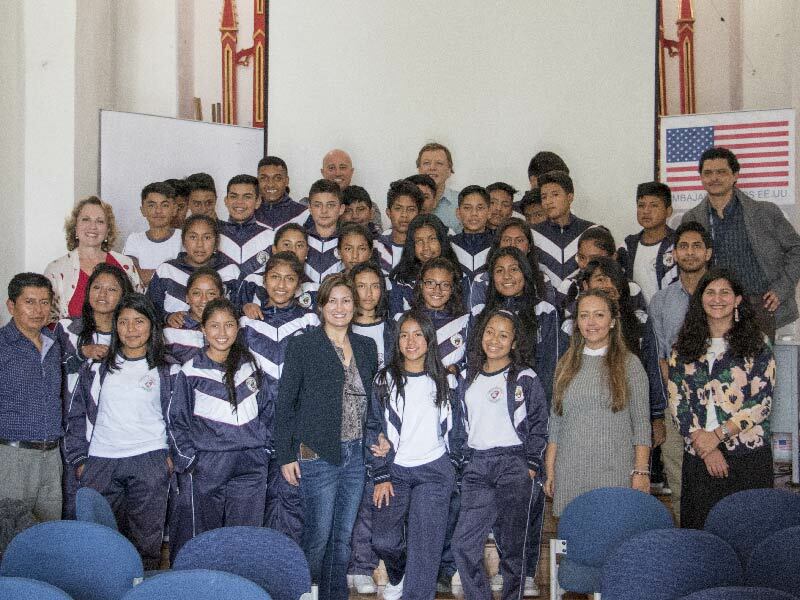 On Tuesday, February 20, 2018, the U.S. Embassy in Ecuador visited Yachay Tech to screen the film Dreamtown, a documentary about the struggle of young men from Chota Valley, in Ecuador, to reach their dream of becoming professional soccer players. The screening of the film was done as part of the U.S. celebration of Black History Month, a month to acknowledge the historical fight for the rights of African-American communities. Students and teachers from Unidad Educativa Urcuquí were invited to the event. Giovanna Aguilar, film producer, presented the film to the audience. She assures that the project started as a dream owned by Betty Bastidas, the film director. Aguilar says that the Ibarra-born director presented the documentary as her thesis project for her Master’s Degree in Berkeley University, in the U.S. While watching news on TV, she came across the story of this small town in Ecuador where the country’s greatest soccer players were born and where young men fought for the opportunity of becoming professional players. Then, once they had made up their mind about filming the project, they sought financial aid from different organizations like NY Women in Film and NALIP (National Association of Latino Independent Producers). Aguilar assures that once the documentary was completed she felt a strong commitment to serve as a speaker for the Chota community so their voice can be heard loud and clear, and to show the world the value of their culture, dreams and vulnerabilities as well. She thinks that this content is fundamental to create empathy and knowledge in different social sectors. Wilson Morales, a teacher at Unidad Educativa Urcuquí, agrees with this point of view. He thinks that it is very important to show students the characteristics of the protagonists. “It is something that will definitely trigger further discussion in the classroom” he points out.